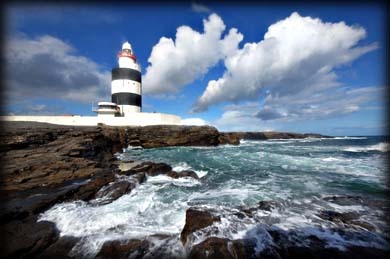 Hook Head ( Rinn Dúbháin) was the venue for the walk on May 12th. Themes included marine life, geology, the colourful flora and some of the story of the unique Hook Peninsula. Walk started and finished at the Hook Hd Visitor Centre. Thanks to Ray for leading the walk. We wish to apologise to anyone who was inconvenienced by the confusion over the April walk venue.